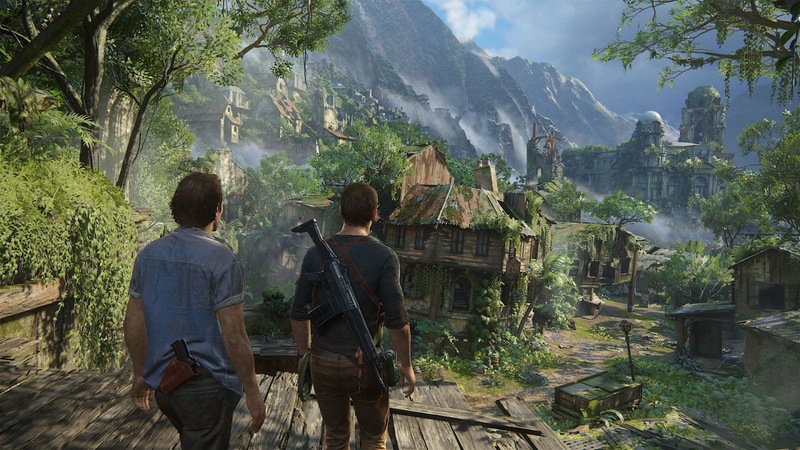 Nathan Drake is back for what looks like his final adventure in Uncharted 4: A Thief’s End. The Uncharted games have always been known to just keep getting better and with the team behind the phenomenal "The Last of Us" taking over development, will we see a fitting end to the Treasure Hunter? The story begins with us catching Nathan Drake a couple of years after his last adventure (Uncharted 3), only now he's completely settled down. The world traveller has married Elena, is holding down an office job and living quite the normal life until his brother, who he believed was dead, showed up asking for his help. This leads Drake on one final treasure hunt looking for the left behind collection of Henry Avery while once again, trying not to get killed in the process. From a narrative perspective, it’s the best story of the entire series with interesting characters, good pacing and a satisfying conclusion. Just like its predecessor, Uncharted 4: A Thief’s End is set across several countries with a mixture of Jungle, Urban and Aquatic terrains to be explored. It’s a shame that little emphasis was placed on actually exploring underwater, with the exception of the beginning segment and a short area later on. For fans of the series, most of the mechanics are familiar and exactly as you remember, with several tweaks here and there for a greater and more believable sense of realism; thanks to the power of the PlayStation 4. 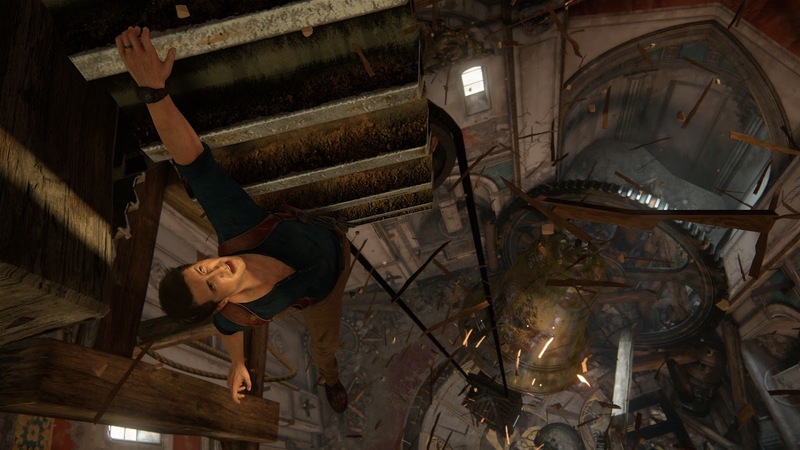 Climbing has also been fine-tuned with animation to show Drake literally reaching for the next platform or graspable cliff surface. You also acquire a Piton later on, adding a new dynamic to climbing. Think the Tomb Raider reboot - It works in exactly the same way, although from the looks of it, the Uncharted version has a lot more realism behind it, in that the further Drake jumps and more momentum he gains, the harder the Piton hooks into the wall. The force of physics really add to the experience here. Drake also gains access to a grappling hook, reaching places far out of reach that would be otherwise inaccessible. It can also aid in traversal as you rappel down from greater heights, or hook into a wall before swinging and throwing a heavy, swift, lunging punch into your foes. The A.I. has also received a huge upgrade and is quite frankly, the best I’ve seen in any game. Melee combat has also become a lot more dynamic as enemies can now counter you, as they attempt to use weapons during fist fights. An example of this would be that when fighting a bunch of enemies, one could grab, giving time for his ally to tag team against you. Another example of this is how enemies will attempt to counter and grapple you as you try your hardest to pull them from a ledge above. It’s not just enemy A.I. that's been given the boost however, as you’re in game partners are more than capable also. During stealth they're helpful to have around as they too can take down enemies and if you're pinned down by almost seemingly unfair numbers? No sweat, they'll jump in to help you. Additionally, with a revamped Stealth system, Drake can now hide in bushes and also enter stealth by breaking the enemies line of sight. For as long as you remain unseen, you can return to stealth, though once an enemy sees you they will do all that's within their power to take you down, through cunning co-ordination and sheer determination. Another big feature for Uncharted 4 is that for the first time ever, vehicles are now fully driveable, though for the most part you'll be in control of a Jeep. The handling is great and although this mostly occurs during big gameplay moments and also within the more explore-able larger areas, it's somewhat blended into the gameplay mechanics, with the use of a winch. Specifically, this occurs during the Madagascar segments to pull yourself up hills where the Jeep usually has no traction. Dialogue options have also been included this time around, with two different types now present. 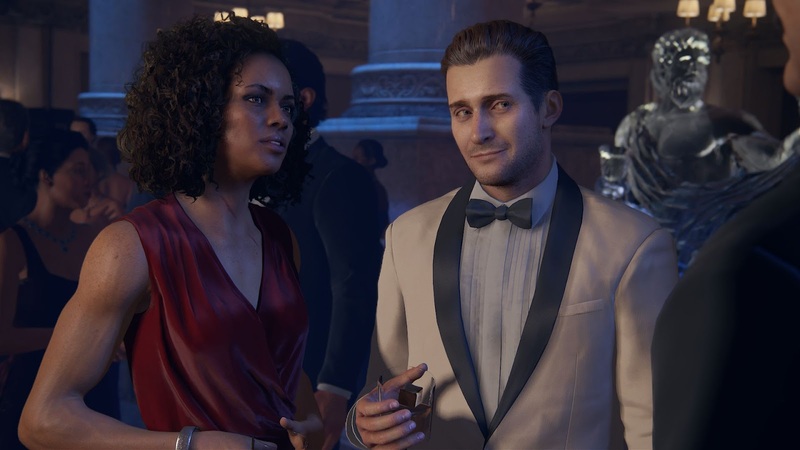 The first (although rarer) gives several choices as to what to say, while the second offers optional dialogue that appears during specific gameplay moments. Similar to Batman: Arkham Knight, this additional dialogue is optional and can be triggered with a simple press of the triangle button, revealing otherwise unheard dialogue from your A.I. partner. It's a nice touch. 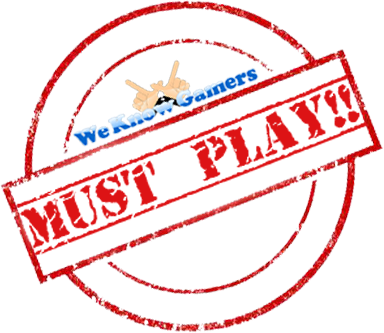 Unsurprisingly, Multi-player makes a return, with a variety of new features including "Mystic" deploy-ables, reminiscent of Supernatural powers displayed in previous games. This includes The El Dorado Sarcophagus and harnessing the power of the Djinn,with the option of being able to call in back-up units. I can honestly say that Uncharted 4 is currently the best looking game on PS4 hands down. I can only credit the amazing artists at Naughty Dog for putting together such an incredibly realistic and mind-blowingly awesome world. One problem in the industry of late is how the final version of countless titles fail to match up to previously seen trailers and gameplay footage, which makes me even happier in confirming that statement doesn't hold true with Uncharted 4, as the retail version is far superior to what was previously shown. Overall, Uncharted 4: A Thief’s End is a phenomenal game which builds upon (and refines) the exciting gameplay the series is known for, while at the same time includes key components that made The Last of Us such a huge successful. Truly, it's a strong end to the tale of Nathan Drake and while I'm sad to see it go, it certainly goes out on a high.